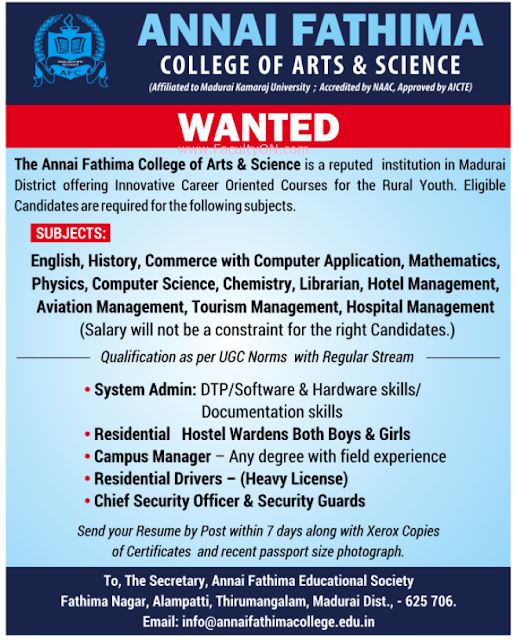 Annai Fathima College of Arts and Science, Madurai has advertised for recruitment of Assistant Professor Plus Non-Faculty jobs vacancies. 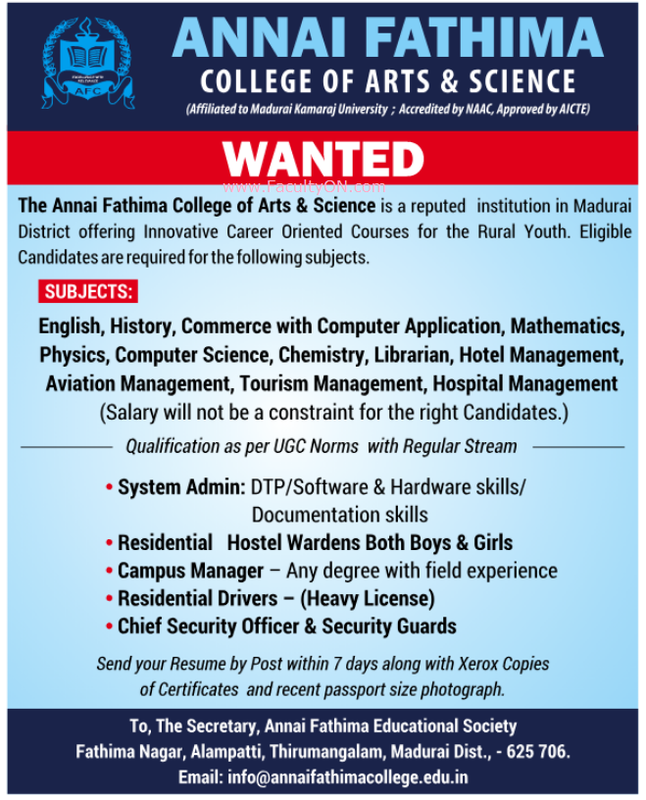 Interested and eligible job aspirants are requested to apply within 07 days from 02nd December 2018. Check out further more details below.